OVERVIEW/ANALYSIS: I found The Golem and The Jinni to be a fun, magical fairy tale of a romance with a fair bit of excitement to it. But it is pretty clear that this is also a serious, literary work, raising meaningful philosophical questions, while using the folklore of two different cultures to inform the immigrant experience, offering a fascinating look at a place and time, and linking the experiences of the old and new worlds. These two takes seemed to call for different outlooks and so the result is two reviews in one. Both entities faces challenges. The Golem, named Chava (which means life) by the rabbi must cope with the flood of wishes that assail her consciousness from the thousands of people around her. She must learn to keep her identity secret. This includes coping with the fact that she does not sleep, and that it is not considered ok for a young woman to be seen walking the city streets at night, even if it her purpose is honorable. Like many immigrants before her, she is helped by prior arrivals. She learns to bake and gets a job in a bakery. Unable to go out at night she takes on sewing. How immigrant is that? The two embody, in a way, the immigrant experience. Coming to a new country, learning new ways, changing in order to fit in, coming to value what has been found, building a life. But character growth, consideration of serious moral subjects and a moving relationship are not all that this book has going on. There is danger afoot. Keeping the action moving, we get not only a look into the jinni’s ancient past, a fascinating and moving segment, but there is pursuit on those cobble-stoned streets. A person with evil intent is tracking the scent of magic and surviving this onslaught is the main motive. As we have come to care about both our primary characters their safety matters. CONCLUSION: Not only has Wecker populated her fable with two wonderful leads, but her backup players are extremely rich. In fact this is one of the best supporting casts I have seen in a while. 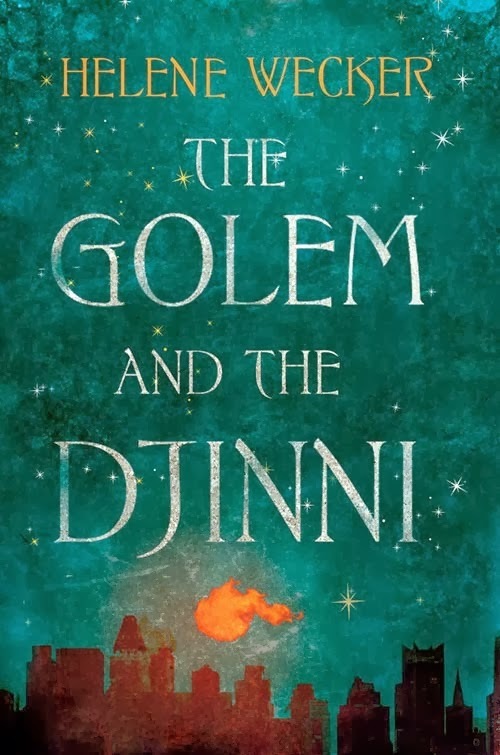 The Golem and the Jinni has love, parental and romantic, philosophical heft, a vibrant picture of a place and time, the equivalent of an action/adventure trial-by-danger and enough magic to shake a wand at. In short it is everything in a book that you could possibly wish for. Gotta confess, I kept seeing Amanda Righetti (The Mentalist) in the role as I read. Hey, the guy's got needs. (This raises the wonderful theoretical possibility of a high-end retail business, Build-a-Golem. Schmul, more clay, hurry up.) Unwell in his steerage accommodation, Otto is looking for a little companionship and wakes his special friend. Just in time, as it turns out, as Otto, and his burst appendix, fail to make it to the particular new world he was hoping to reach. This leaves a rather bewildered, powerful and telepathic mythical creature heading for Ellis Island. She finds an unusual way to cope when asked for her papers, which I will not spoil, then, wandering around the city, is taken in by a retired rabbi who sees her for what she really is. (Yeah, he’s a lot older, but he really sees her) The Golem truly is a stranger in a strange land, but she is not the only oddity on shore. In Little Syria, an immigrant community near the southern tip of Manhattan, a Maronite Catholic tinsmith, Boutros Arbeely, is brought a copper flask to repair. While beginning work on the piece with a soldering iron (no rubbing of the magic container this time) he is blasted across the room, and before you can say Robin Williams three times fast, there on his shop floor is a naked man. And it’s not even Halloween in the Village. Really, he is a creature made of fire and mist, but is confined by virtue of an iron bracelet into the form of a human. In this imagining, iron is something a jinni can’t do anything with, I guess like bad fashion sense. Sorry, no puff of smoke. But this magic man is a hottie. He is, of course, cut and handsome, but in addition, he is a natural metalworker. Boutros, despite the jinni’s arrogance, gives him a place to live and a job. He's never had a friend like him. 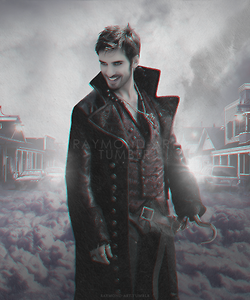 I see in my tiny mind the steamy Colin O'Donoghue (currently Captain Hook on Once Upon a Time). Ya think these two illegal immigrants might cross paths? Duh-uh. But it will take some time, as each has his and her own road to travel. If I had three wishes the first would be to be able to write as well as Helene Wecker. She manages to combine several layers to make a compelling whole. She compares a bit of folklore from two different cultures and looks at how they work in a new place. She offers philosophical consideration of deep human issues. She offers a wonderful view of a place and a time, and there is a motive force here that keeps the story moving, and presents our two leads with a mortal threat. Sounds a little creepy in this context, doesn’t it? As a creature built to be a slave, but lacking a master, the golem must become her own master in a way, (a Ronin?) accepting guidance for sure, but facing real existential dilemmas. What happens when the guy in charge is no longer around? She engages in a discussion with the jinni about the messiness of free will versus the certainty of slavery to the will of another, raising up issues not only of actual slavery, but of blind allegiance, whether to a military cause, a political party, a religious persuasion. When is a person responsible for his or her actions and when does responsibility lie elsewhere? The jinni, while he may still have a trick or two up his sleeves, chief among which is the ability to mold metal with his bare hands, is still stuck in a human body and is forced to cope as a human. The Golem, named Chava, must constantly struggle to hide her real identity. She struggles as well to control her impulses, in a way, like Shelley’s creature, a child attempting to grow up. And she does pretty well, whether restraining herself from satisfying the flood of mental wants and needs that her telepathy picks up, or the occasional urge to pound some a-hole into bits. She is not the most outgoing sort, and is seen by many as a stick in the mud at times. So, are these two crazy kids gonna get together or what? Yeah, yeah, we’ll get to that. Different paths, remember? The jinni happens to be hanging at the Bethesda Fountain in Central Park when his attention alights on a young thing of a late-teen socialite, Sophia, kept on a leash (or is it in a lamp?) by her mother. Her entire life is planned out for her. Someone follows her home and things heat up. Chava, is not a slave to carnal whims, she may or may not even have carnal whims. But the rabbi has a mensch of a nephew, Michael. Sadly fallen from The Chosen, but a very nice young man who runs a hostel for new immigrants. What to do with those long nights? Walking of course. Well, for Mister Ahmad, anyway. It was not considered proper in that era for a young lady to be seen walking the streets alone late at night. It creates the wrong impression, and attracts the interest of unsavory sorts, like the police. As an illegal, and a non-human, that would not do. So Chava does what any young, energetic young lady in the turn of the century Lower East Side would do. She takes in sewing. In fact there is a lot in this book about the immigrant experience, legal and not, at the end of the 19th century. Two communities both nurture their new arrivals, struggle to get by, to make a better life, attempting to leave behind some of the problems of the Old World. The two embody, in a way, the immigrant experience. Coming to a new country, learning new ways, changing in order to fit in, coming to value what has been found, building a life. Receiving new names. CONCLUSION: Not only has Wecker populated her fable with two wonderful leads, but her backup players are extremely rich. In fact this is one of the best supporting casts I have seen in a while. You will not need to endanger your community through the use of dark magic or possess a magic vessel to find your next great read. The Golem and the Jinni will be available far beyond the shtetls of Europe, the deserts of the Middle East, and the New York City limits. This modern Sheherezade has written a magical book and there is no rub. 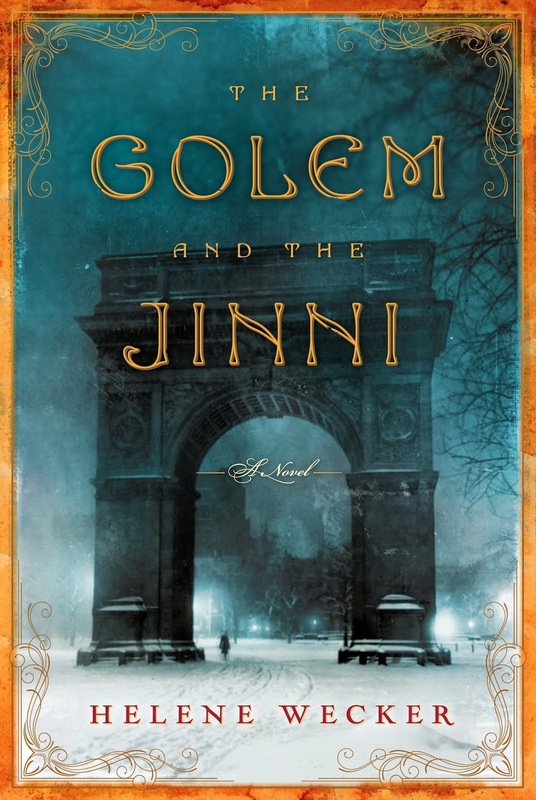 The Golem and the Jinni is all that you could possibly wish for. NOTE: This review was originally posted here. German Cinema Golem image courtesy of The Bridge. Gort image courtesy of Carnegie-Mellon. Colin O'Donoghue pic courtesy of 24 Media. Amanda Righetti picture courtesy of Mentalist wiki. 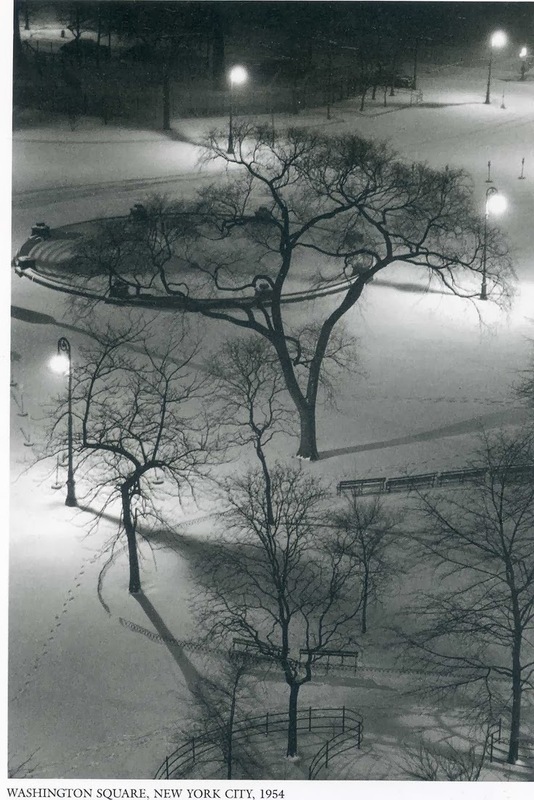 Washington Square (NYC) picture courtesy of Andre Kertesz and Higher Pictures. This book sounds both exciting and thought-provoking. As you mentioned, it definitely has echoes of Dr. Frankenstein's creature, who is abandoned by his creator and has to decide who he is and what his connection is to humanity. Thanks for the review!